An innovative and practical system for the separate collection of recyclables and trash adaptable to existing public waste bins. Allows to keep dry collected materials. 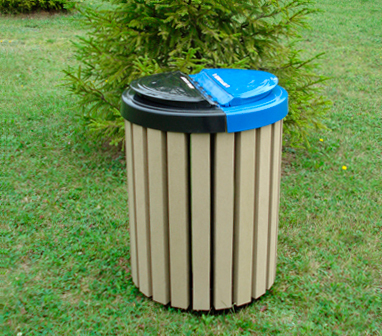 Also adaptable for the separate collection of compostables and trash.